One game I have fond memories of playing when I first got into Nintendo gaming was Yoshi's Cookie for the Game Boy. At this point, Nintendo's recognisable green-skinned dinosaur had only been the central character in a few games on the earlier systems. 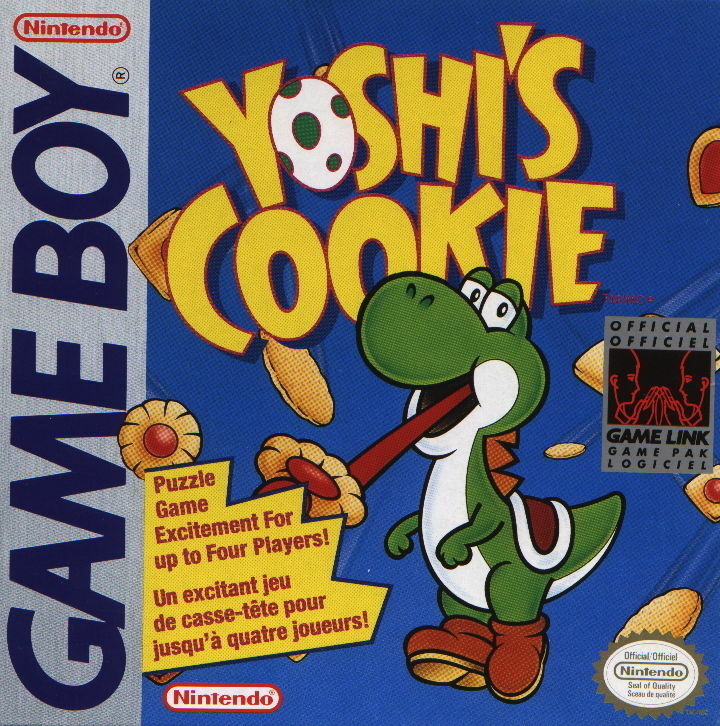 Self-titled puzzle game Yoshi came along first, whilst Yoshi's Cookie, another puzzle game, followed suit. The object of the game is to get Yoshi and Mario to mix and match the cookies into lines. 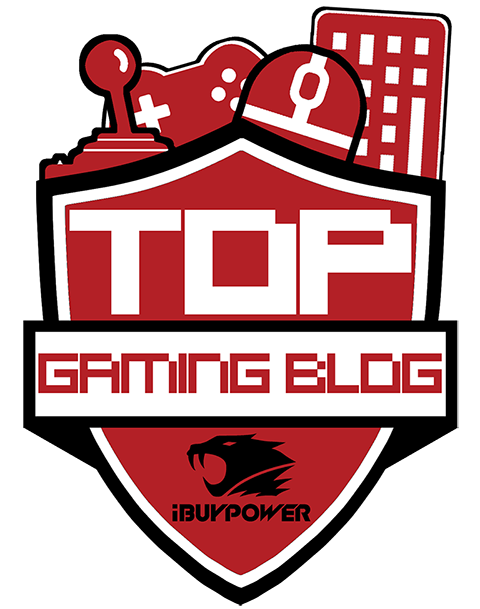 Unlike Tetris, the player has no control over the pieces as they fall-they are shuffled around by using the cursor once they have joined the collection at the bottom of the screen. Each piece represents a cookie, and the higher the level, the more cookies are added to the lines. Fail to clear the lines of matching cookies, and the factory blows up, signalling game over. However, simply match the cookies into a horizontal or vertical line of matching cookies, and once all have been cleared, you can progress to the next level. The larger the line you create, the more points you will be rewarded for clearing it. In a way, the game play is almost like a cookie rubix cube, except the frustration level in Yoshi's Cookie is nowhere near as high as that of completing a near-impossible rubix puzzle. This may make Yoshi's Cookie sound rather complex, especially as the format is different to the perhaps at this point, very familiar Tetris, in all honesty, it is not. Once the idea of shifting around the cookie pieces to form matching lines becomes apparent, it is not only incredibly addictive, but also rather easy. The real challenge lies in the higher stages, where your brain is really worked. There is definitely a high element of charm in the game play, in not only the cute designs of the cookies, and our hungry little dinosaur, but also the music (yes, there are only three tracks to choose from, but they're easy to hum along to). The only downside to Yoshi's Cookie is that there isn't an incredible amount of options to this game. In the console versions, a 2 player mode is added, but other than that, the cookie-switching game play is all you will be confronted with. Some people may find the novelty wears off after completing a few stages (stages are completed after every 10 levels), but in all honesty, if you enjoy this type of game play, there is nothing much to complain about. Whilst Yoshi's Cookie never surpassed the immense popularity of retro puzzlers like Tetris, it remains an enjoyable classic that many gamers go back to fondly even now. Yoshi's Cookie is available to download via the Virtual Console on the Wii, and I highly recommend giving this a go if you fancy some nostalgic puzzle game play featuring an early version of Yoshi.